Ah the simple, healthy and delicious chicken breast. It's arguably the most grilled item in the United States. Heck, it's probably the most cooking meat in the United States, no matter what the cooking method. I know I cooked my share of chicken breasts on the George Foreman grill in college (still do actually, the George is just a little fancier now). 1Fire up the grill for high heat, direct grilling. 2Rub some Kosher salt and freshly ground black pepper on both sides of the chicken breasts. 4Grab a chicken breast with the tongs and get ready to stick it on the grill. 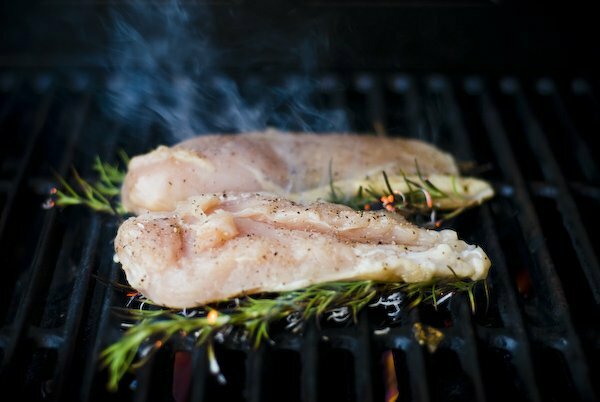 Place 2 springs of rosemary flat on the grill and immediately place the chicken breast on top of the rosemary. Repeat the process until all of the chicken breasts are on the grill. 1Grill for about 6 minutes without disturbing the chicken breasts. 2Get 2 more rosemary sprigs ready and then repeat step Step 4 by flipping the chicken breasts over onto the new rosemary sprigs. 1Grill for an additional 6 minutes on this new side and you should be done! 2Remove the chicken breasts from the grill. You will notice that there are some burnt rosemary bits on the chicken breasts. Most people like the flavor, but some people (like my wife) don't like too much of it. Scrape some of the burned bits off if you would like. 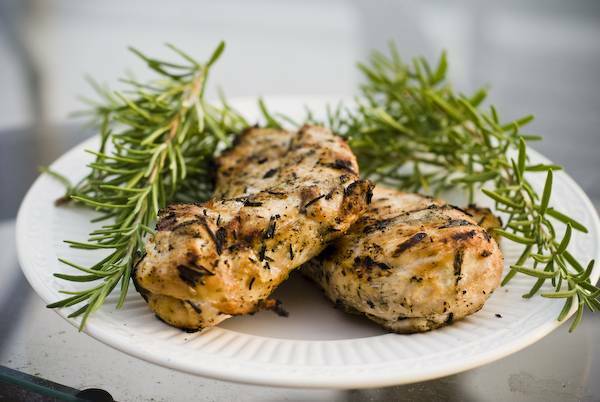 The smoldering rosemary infuses the grilled chicken breasts with a delicious and smokey rosemary flavor. 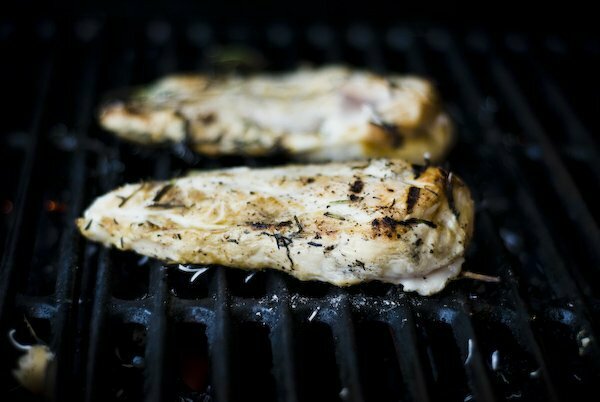 Grilling chicken breasts doesn't have to be difficult. Chicken is a great meat to experiment with and I always keep a bag of frozen chicken breasts in the freezer. Consider planting some rosemary to have on hand for grilling. 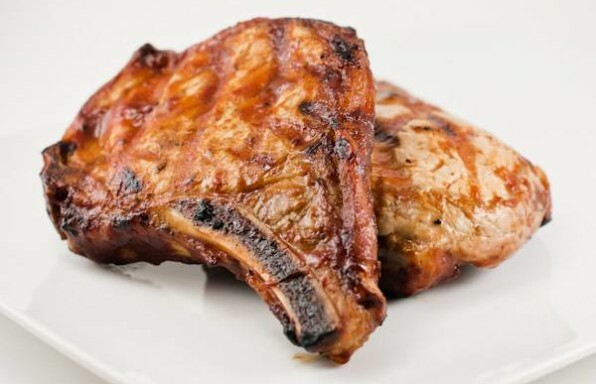 It grows very easily and will hold up on the grill for great recipes like this one!